Wally said it all. 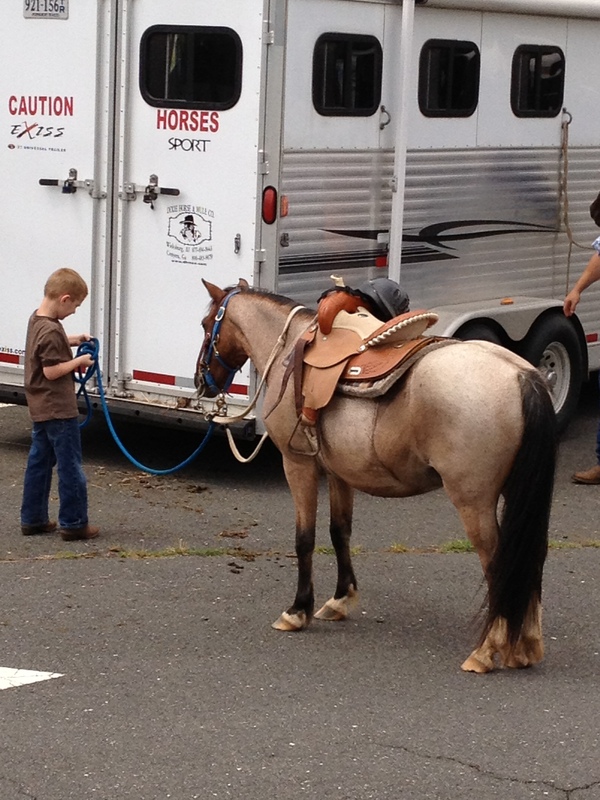 Though this adorable five-year-old actually said nothing, he and his fine pony, Jedi, spoke volumes. Wally and Jedi were our stars. 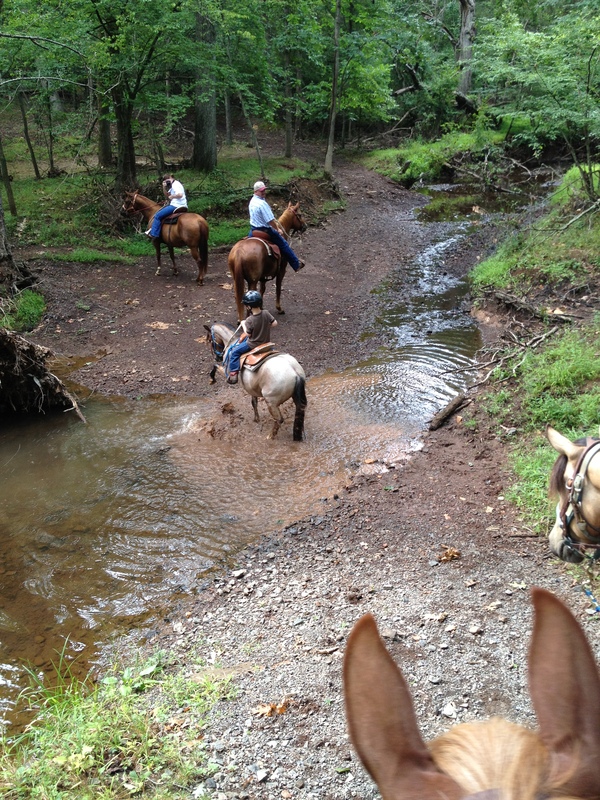 They were our stars on this July 14, 2012 trail ride in Manasses State Park. This was a trail ride with a specific purpose. Our 2nd Annual Ride for AbbaCare. Wally is the son of one of our sponsors, Walter Davis, Professional Farrier. 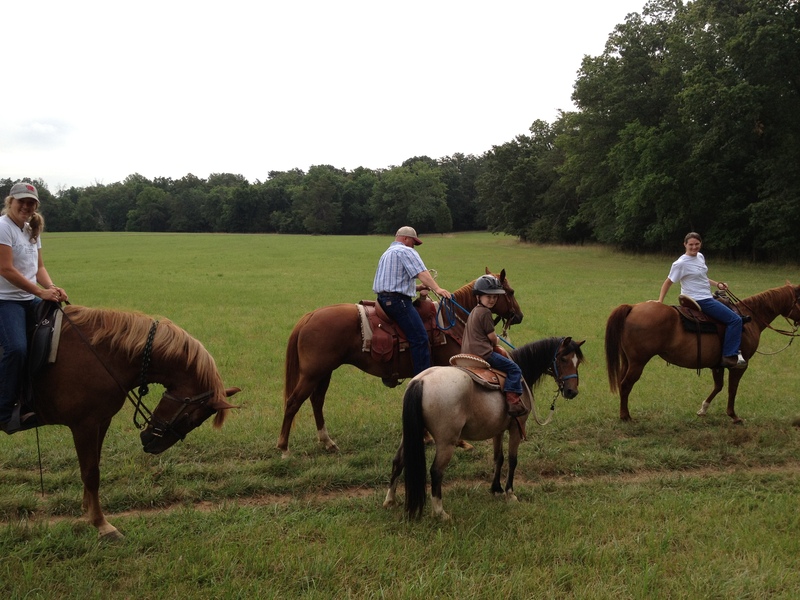 He and his wife, Suzann, decided it was time for Wally and his pony to have their first trail ride ever. 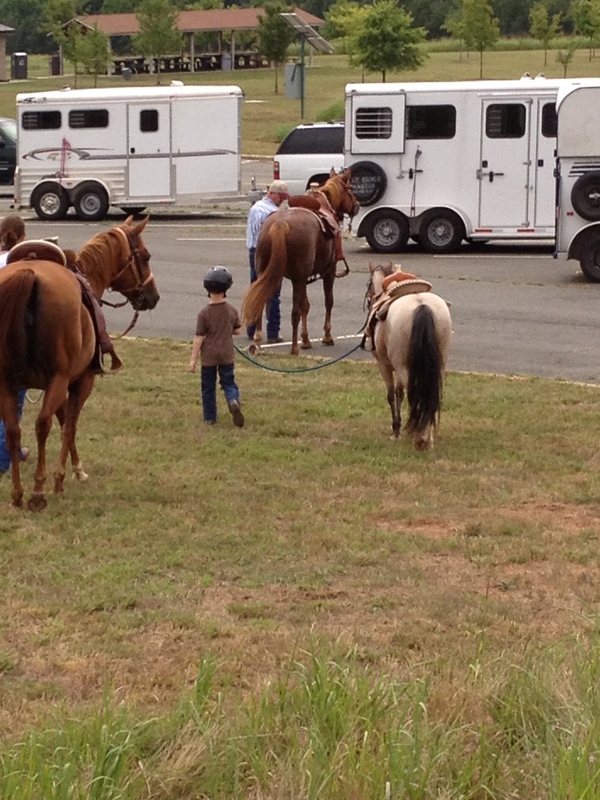 What a statement for life that little boy and his pony made. Jedi enjoying the cool water in the creek! Wally and Jedi led the trail like a pair of old timers. Their joy was contagious! We had to cross busy roads several times. With help from his dad they managed it beautifully. Crossing the creek a couple times presented no problem either. Jedi walked straight in and happily pawed at the cool water. He never shied, kicked at the other horses or gave Wally any trouble. Wally was gentle and quiet. 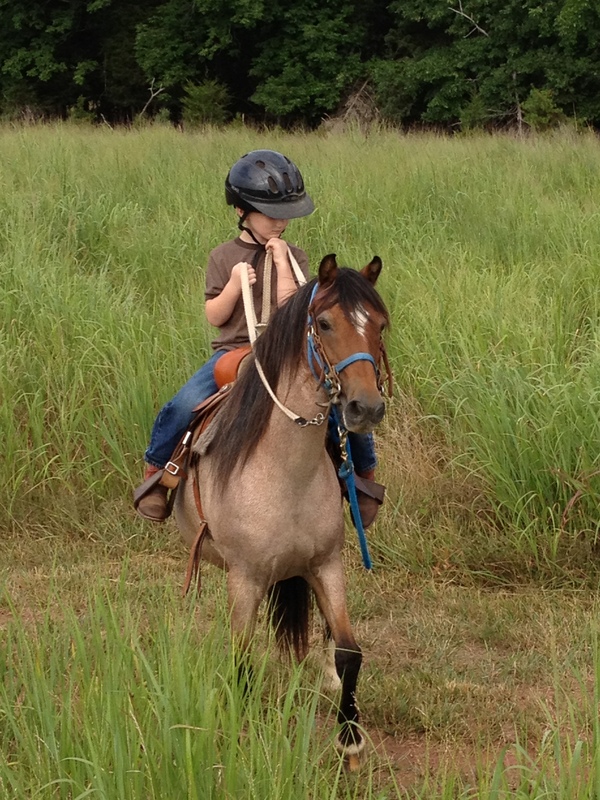 It is easy to see he is going to grow into a fine horseman just like his dad. Our other rider came all the way from Colorado! 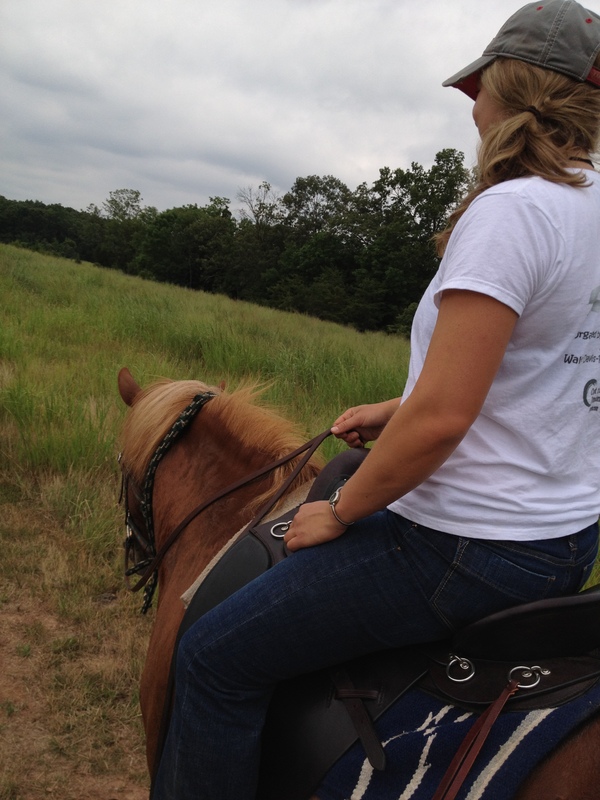 A fine horsewoman as well, Esther Gordon loves children, horses, and riding for a good cause. We raised over $700 for AbbaCare-A fresh perspective on choice-pregnancy care center in Winchester. AbbaCare offers spiritual, mental and physical care for an unexpected pregnancy, babies, mothers and fathers. We are proud and honored to be a part of it. Our other rider came all the way from Colorado, Esther Gordon! 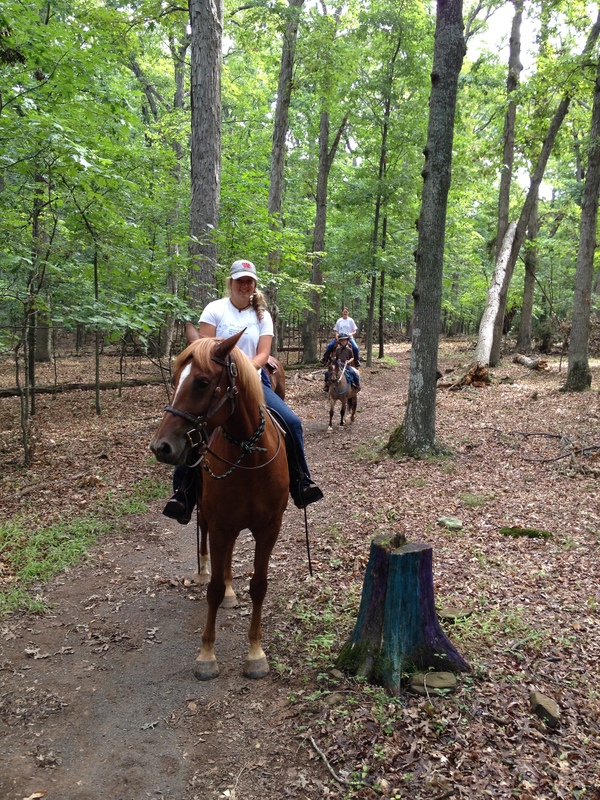 Oh yes, Wally did say one thing during the two-hour trail ride—his pony’s tummy was growling! A fine horsewoman as well, Esther Gordon. Time to go feed your pony, Wally!